Can you and probably tell by now, BCAA alone can only go so far. Even without the recent studies highlighting the possibility that BCAA without the rest of the EAA present can terminate new protein production, it has been shown in research that a combo of BCAA*EAA can elevate protein kinase levels way higher than BCAA alone. A kinase is simply an enzyme that modifies other proteins by chemically adding a phosphate group, resulting in the creation of a functional change to the target protein, meaning your protein can do the job your body is calling it to do...rebuild, recover and refuel! 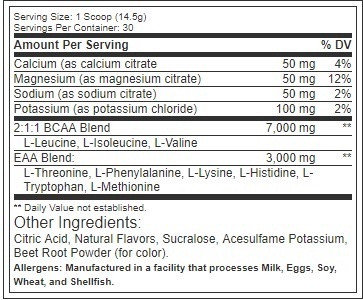 Directions For HydroBCAA: As a dietary supplement, mix 1 scoop (14.5g) of HydroBCAA™ with 8-10 fluid oz. of cold water. 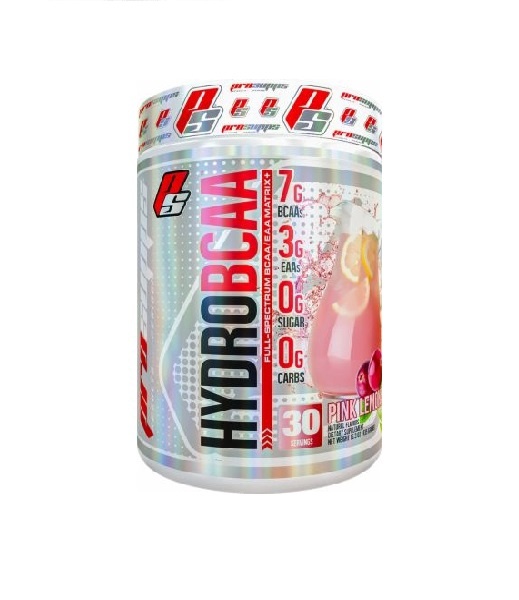 HydroBCAA™ can be consumed prior to training, during training and after training for maximum efficacy. Warnings: This product is only intended for healthy adults, 18 years of age or older. Do not use if you're pregnant or nursing. Before using this product consult your physician. If you are using any prescriptions or over the counter medication, or if you suspect you have a pre-existing medical condition, including but not limiting to: high or low blood pressure, heart disease, thyroid disease, diabetes, difficulty urinating due to prostate enlargement, discontinue use and consult your health care professional. If you experience any adverse reaction to this product discontinue use. Do not use if safety seal is broken or missing. Store at room temperature. Keep out of reach of children. Store in a cool, dry place, content sold by weight not volume; some settling may occur. Protect from heat, light, and moisture.